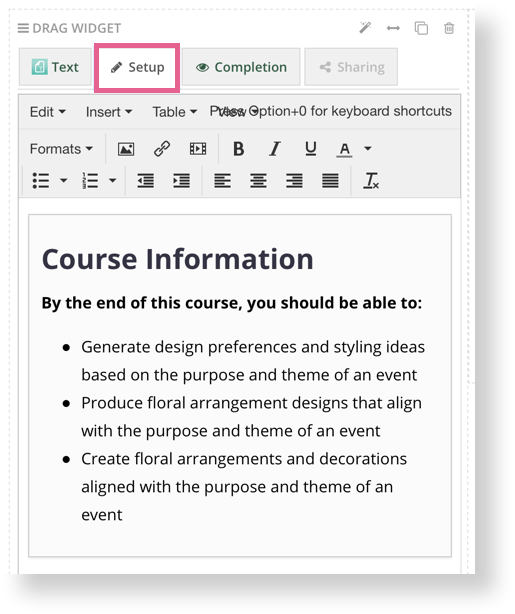 Start by clicking the Edit button at the top of the page. 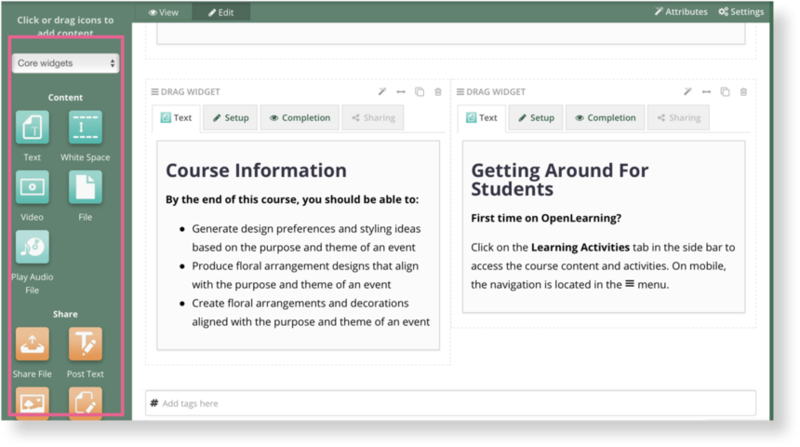 A page is made up of sections called widgets. 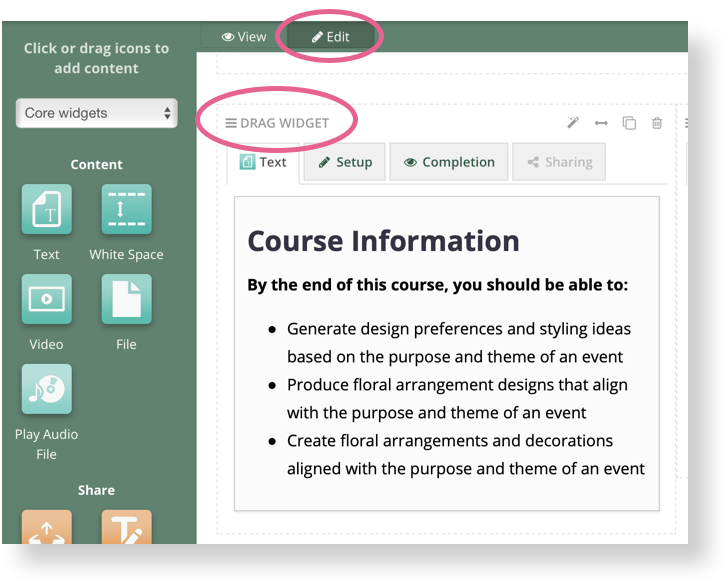 There are many types of widgets that do different things such as display text, play videos, and present activities. 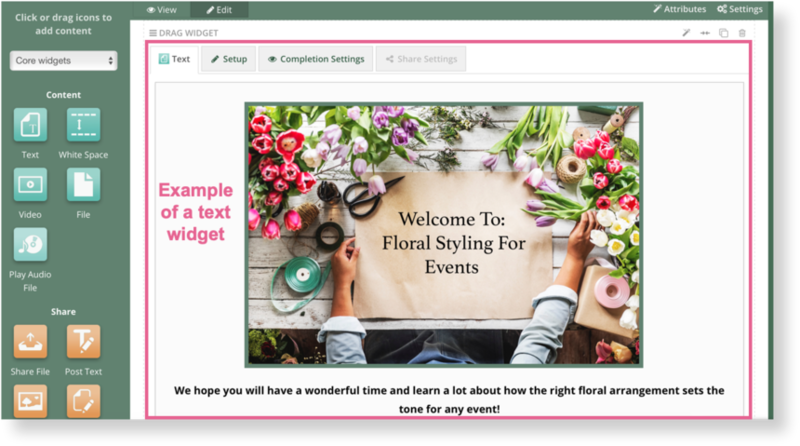 Click setup on a widget to edit its content. 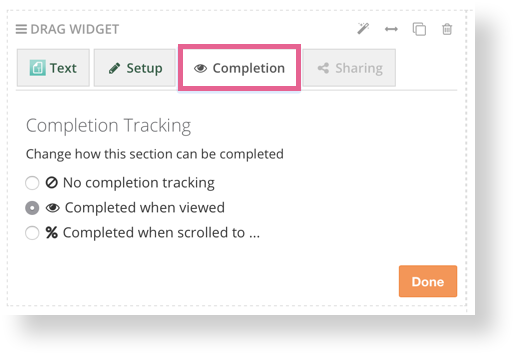 Click on Completion Settings to configure what actions a student must take in order for the widget to count towards page completion. When you finish editing a widget. Click the Done button to preview what it will look like. You can add new widgets from the sidebar. What are widgets and how do I use them? 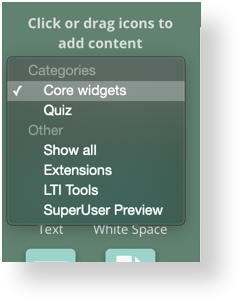 Click on the grey bar where it says core widgets to toggle between the other available learning widgets you can choose from. You can also set a thumbnail for the page. This will help make the course more visually appealing. In Edit mode, go to the widget you would like to move. Hold and drag it wherever you would like from the 3 lines next to Drag Widget. 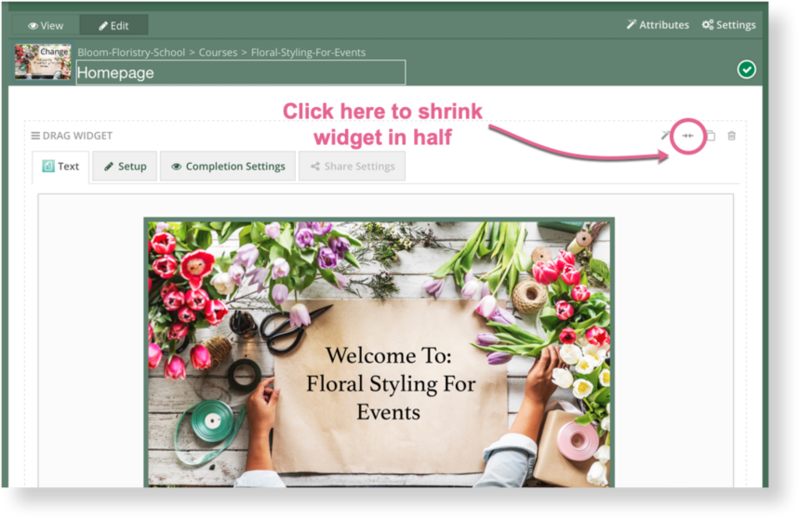 If you want to have 2 columns on the page, you can shrink widgets to half width. When you are finished editing the page, click "View" to save all changes.